Awesome! You can use any meat. It is very good, though not as low-cal, with ground lamb. This was okay. Not really much flavor for all the work on a "quick" weeknight meal. Easy side-dish than can go with almost anything. 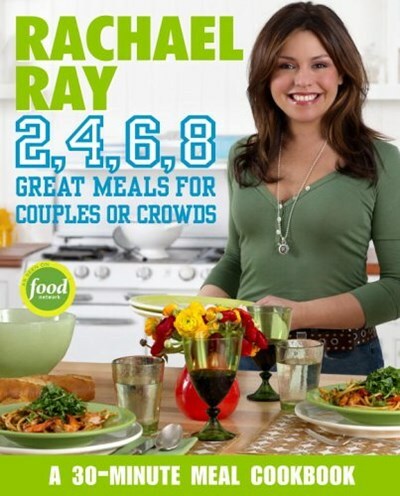 Many books claim to have the perfect recipe for any occasion, but Rachael Ray 2,4,6,8 really delivers. Rachael takes care of the menu and the math, whether you are making dinner for a houseful or a dinner for one. The book is chock full of original recipe ideas, organized in a user-friendly format according to the number of people they are meant to serve and as always it is ready in 30 minutes.